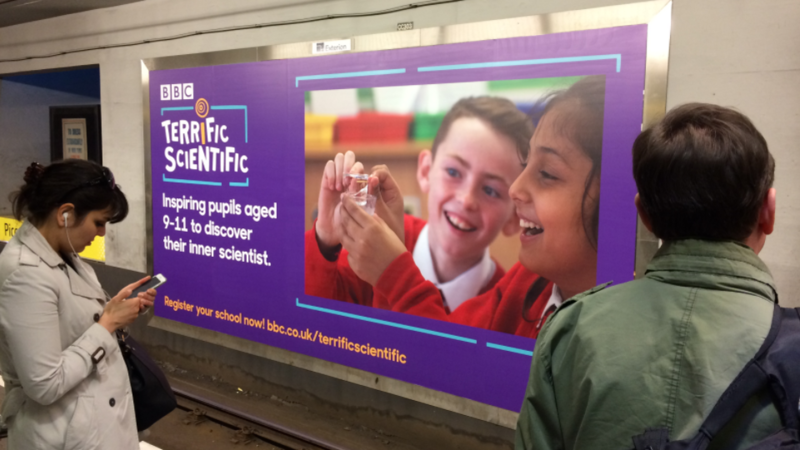 Oohh look, BBC’s Terrific Scientific tech project is featured in the Manchester Piccadilly station! We’ve been busy in the studio working with the BBC building an interactive map for their Terrific Scientific campaign. 9-11 year old pupils from schools around the UK conduct class experiments and their data results are visualised on a cool interactive map! The campaign has been featured on BBC News, BBC Radio and also seen on Manchester tramlines. Read the full case study.